Many people would agree that you can tell a lot about a man by the shoes he wears. Choosing the right pair of shoes enhances your attire and can transform an ordinary look into one that stands out from the crowd . When it comes to dressing professionally, classy, trendy and comfortable shoes are must-haves in one's wardrobe. There’s an outstanding range of formal shoes for men to wear at work available in the market today. Just like women, men have a variety of footwear styles to choose from when shopping for the right pair of work shoes. Here’s a look at the trending work-appropriate shoes for men and how to pair them with your outfit. The Oxford is a classic men’s dress shoe that should take pride of place in every man's closet. It’s the perfect selection for a formal occasion and goes best with a suit. Paired up with a black, navy blue or grey suit and a white shirt and tie, this shoe is the perfect accompaniment for any formal outfit, be it for an important meeting or an office party. If you’re looking for an alternative to the Oxfords, office shoes for men don’t get any classier than Derby shoes. These are the ultimate traditional business wear and formal wear shoes for men. The style is very formal and refined which is why they can be paired perfectly with a suit. They have lace-up styles available, and the shoe’s sole also ensures a worry-free day on your feet. 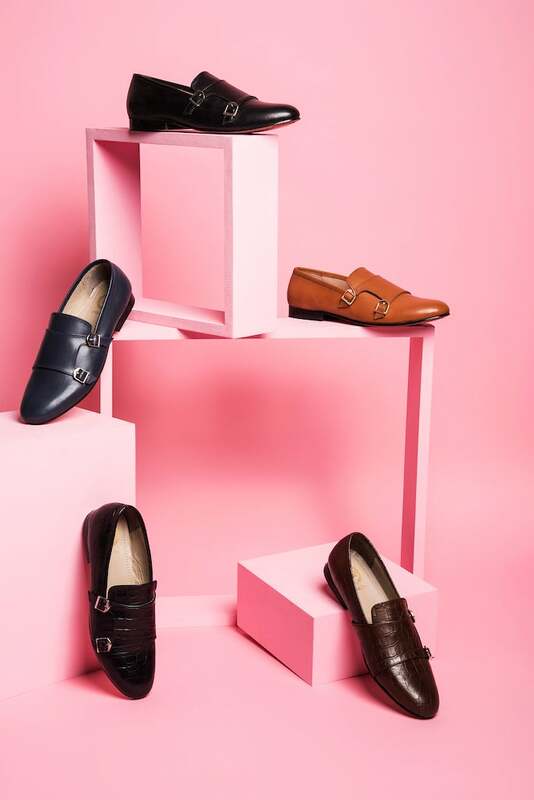 While traditional leather variants of Derby shoes are perfect for a classic, formal look, you can even go for a slightly more casual look with materials such as suede. Another iconic piece of footwear every guy should have in his wardrobe, brogues can be worn for both formal and casual work events. Brogues in a single solid colour can be used just as stylishly as a dress shoe for formal events like meetings and casual work events. Black brogues go well with a black suit and tie combination while tan brogues made from tan leather are best paired with a combination of white and navy blue outfit. For a semi-formal look, penny loafers or tasselled slip-ons are a stylish option. The colour profile is usually black, brown or tan. One can easily style them with trousers and pants and a crisp collared shirt or polo t-shirt. Throw in a formal blazer on top and you have the perfect corporate look. If you’re someone who has to move around the office a lot or have long working hours, a lightweight pair of shoes with a light rubber sole with padded lining is the best footwear option. They’ll definitely serve you well as you continue to burn the midnight oil at work day after day. Almost everyone prefers leather shoes because they’re very durable and stylish. However, with the rising trend of synthetic or faux leather shoes coming in, vegan leather has emerged as a popular choice. It offers the same benefits as real leather with the added bonus of being very cost effective. What Does Your Style Say About You as an Entrepreneur?